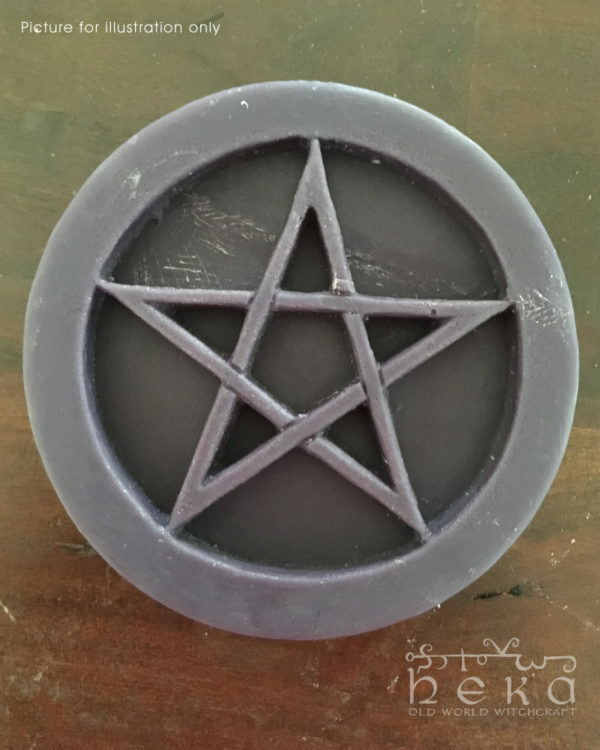 Handmade Wax Pentacle for your altar. 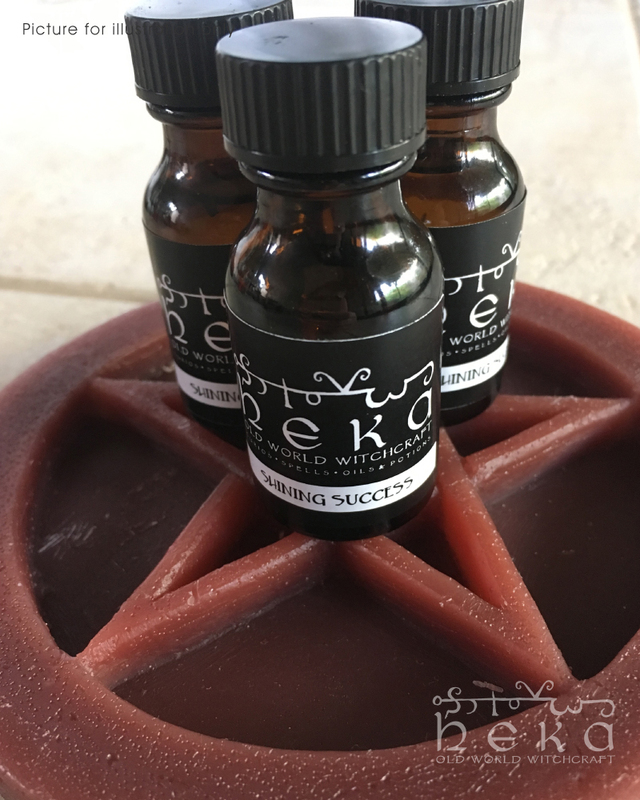 Created between the New and Full Moon, these handmade wax pentacles are then blessed and charged on the Full Moon. 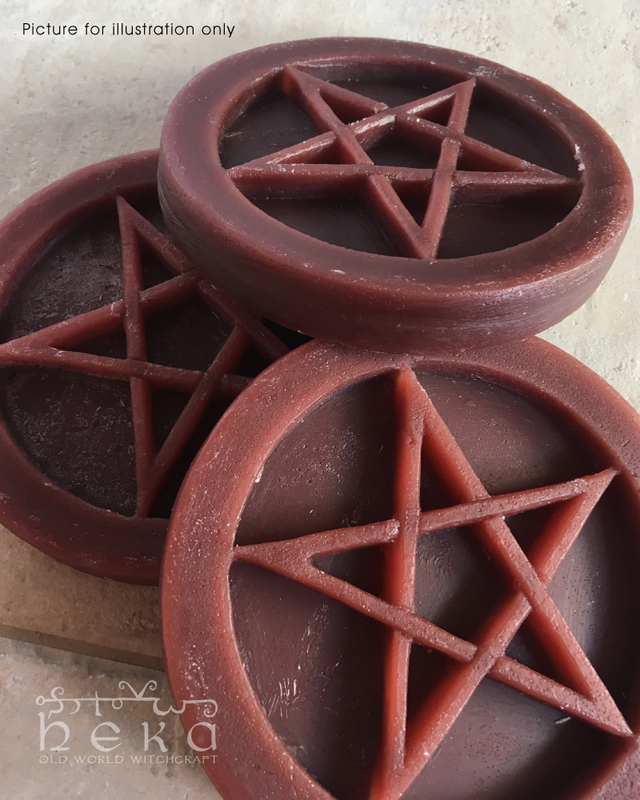 Each pentacle contains a special blend of herbs, resins and crystals to empower and awaken the earth energies. 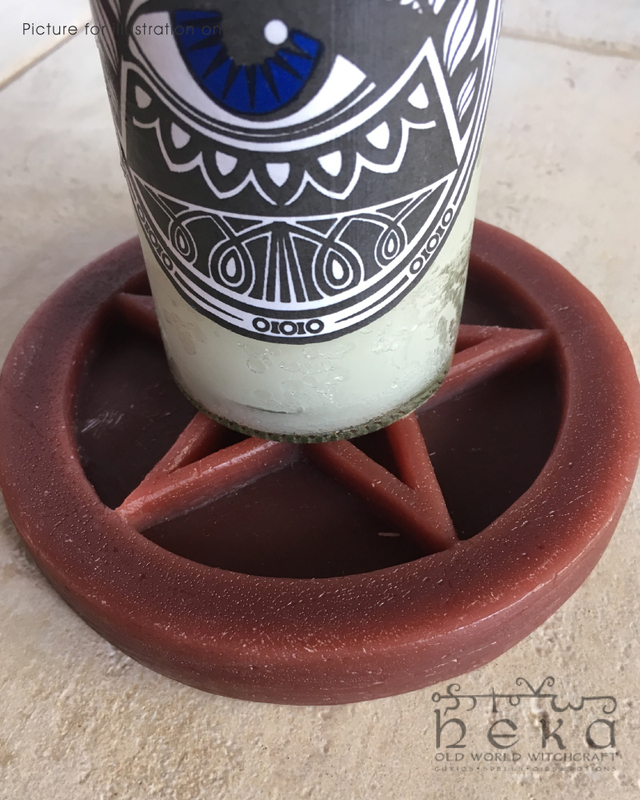 Use this pentacle as a focus for charging your spells, for blessing objects, or as a symbol of protection in your home. We can custom make your pentacle, to contain your own specific blend of herbs and crystals that align with your personal path or tradition, just let us know. Picture for illustration only, colours may vary slightly form pictured.